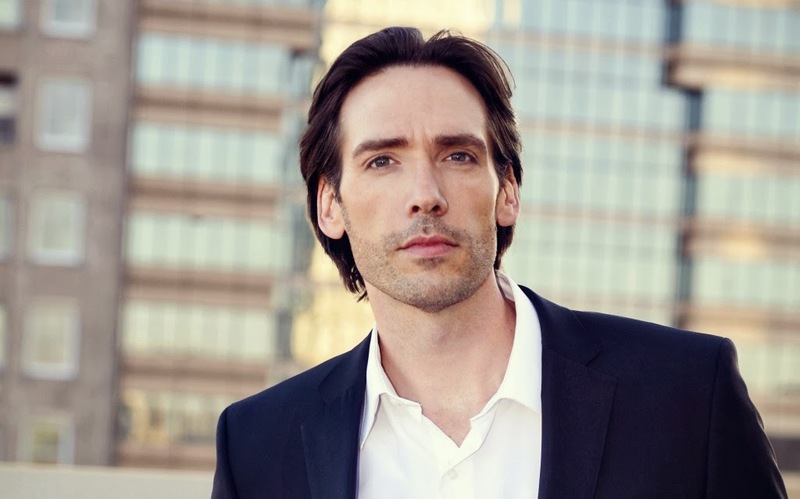 In our upcoming production of The Consul, baritone Michael Todd Simpson plays John Sorel, the freedom-fighter husband of the central character, Magda. One of the reasons Simpson is looking forward to portraying John is because the character is so “physically explosive.” When the audience first sees John, his clothes are in tatters; he’s just been beaten up. “You really have to be able to let yourself go on stage in order to experience this guys journey physically and emotionally,” he says. You’re a Seattleite. Tell me more about your connection with this city. In order to not offend, I would probably have to call myself a transplant to Seattle; however, I first fell in love with this city during my time in Seattle Opera’s Young Artists Program. When I got married in 2010, my wife was looking at grad schools. She decided on Bastyr University. We came out here, and that fall, got a house and planted some roots. Every time I come home after singing in New York or around the country, I’m so happy to be home. I heard you had quite the Super Bowl party at your house.Yes! My wife’s colleagues from the nutrition world and several other Seattle friends were crowded around the TV. Then you had (The Consul director) Peter Kazaras and The Consul gang. They were in the kitchen talking about anything but football. And I was on the grill slaving away. But as The Seahawks took off, we were all in the living room screaming our heads off. Amazing game! Michael Todd Simpson as John Sorel and Sarah Larsen as The Secretary in rehearsal for The Consul. What’s it like working with Peter Kazaras? You’ve known him for 10 years now! He just gets me, in a way that a lot of people don’t. We have a weird, fantastic way of working together ... Peter will sometimes joke that a mad scientist tried to create an evil genius by making him and I share the same brain! I love rehearsals with Peter because he helps us shed all the layers, all the stuff keeping you from ‘just being’ while you’re onstage. He will call me out sometimes and say, ‘Todd, I see you thinking. Stop it' It’s so simple when you stop thinking. As an opera artist, how important is the acting element? It's the same importance as in any other genre of theater. I think more than any other time in opera's long history you are starting to see more singers with real acting chops. And a piece such as this demands it. The days of stand and sing are gone. More and more companies around the world are turning to live HD broadcast. As a performer, actor, singer, and even dancer we must be believable in every way. Audiences expect nothing less. 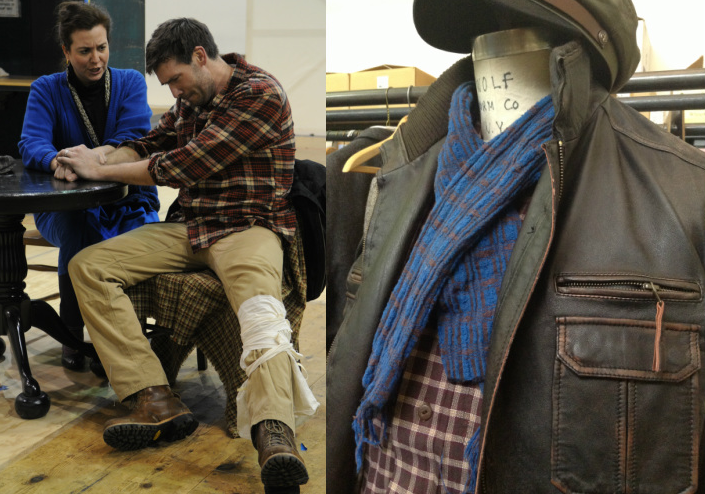 RIGHT: One of Michael Todd Simpson's costumes as John Sorel. Classical operas like La bohème or more modern works like The Consul—which is your favorite to perform? 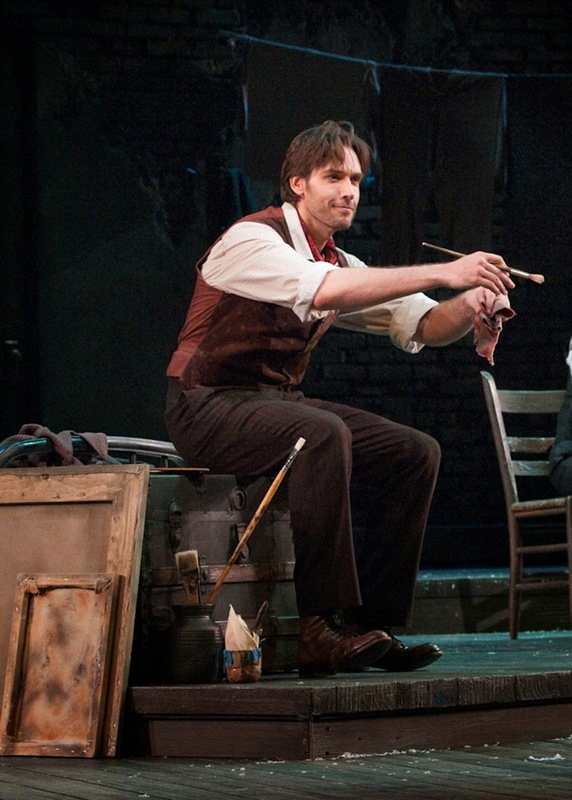 Bohème is the first opera I truly fell in love with and will probably always be my favorite. And, like every piece, I have done The Consul is really beginning to grow on me. We have the amazing opportunity as singers to live with a piece long enough that it becomes a part of us. Also I love the challenge performing in English presents; to be able to really communicate with the American audience.We as singers, as well as the audience, have to work twice as hard to communicate and to truly listen. The Consul deals with oppression, loss of personal freedom, and the reduction of human beings to numbers. How do you approach such heavy material? I go back to things in my personal life, dealing with the loss of family members. Most of the people I grew up with including myself have been privileged in comparison and never had to experience that kind of oppression. John Sorel fears for his life, his family and he risks literally everything to save them. I can’t imagine what that’s like. On the flip side, all of us experience tragedy at one point or another. And the loss of someone you truly love is a heartbreak we all understand. As far as the Young Artists graduates involved in this production, what’s it like being “the old one”? Hey watch it now! (laughs). It actually feels kinda nice to be the "old guy." I spent the first 10 years of my career feeling like the kid in the room. I just feel more comfortable, more grounded in myself as a person and as a singer; and that allows you to go further, take bigger risks as a performer. I always admired how seasoned pros would take these huge risks dramatically and vocally. And I am beginning to know what that feels like, finally. But I will always be a young artists, or, a big kid at heart. Being around this amazing cast of young singers is awesome. We are having a blast! Even though we're singing about death and torture everyday. It's a hoot.